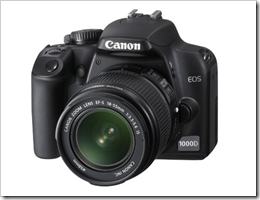 I don’t know how much does it cost but I think it will still be in the range of the EOS 400d. I am not planning to replace my camera since I think it is still capable of doing different good shots. If you are looking for information about other canon eos camera such as Canon EOS-1DS MarkIII SLR just follow the link I provided. Well we have to check this one with regards to price. Maybe this is better buy than 450D. But I do believe that certain comapny will not release new model which will not give a better option to the user. We wonder: doesn’t the 450D reduce the incentive to buy this model? Same image sensor, practically the same functionality.